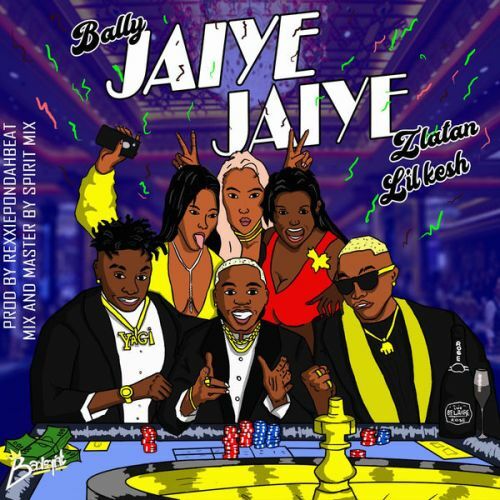 Here is something new from Bally – Jaiye Jaiye ft. Lil Kesh & Zlatan out now! Talented singer Bally takes the year by storm with the release of his new single he titled ‘Jaiye Jaiye‘. On this new piece are YAGI boss Lil Kesh and Zlatan. As the name pretty much suggests, the song is a feel good tune for dancing & enjoyment. It was produced by Rexxie. Listen, enjoy Bally – Jaiye Jaiye ft. Lil Kesh & Zlatan beneath. Do well to comment and share!